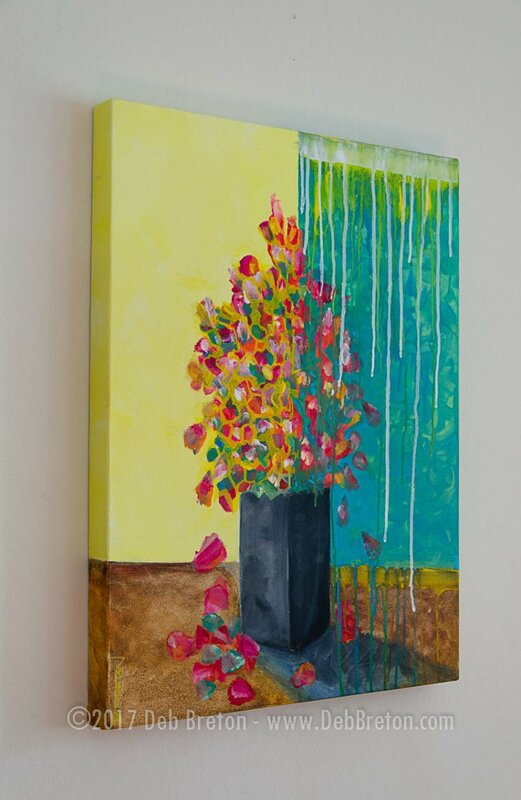 Acrylic on 24″ x 18″ x 1.5″ gallery wrap canvas and the painting’s theme is continued on to the sides – see more photo’s below. 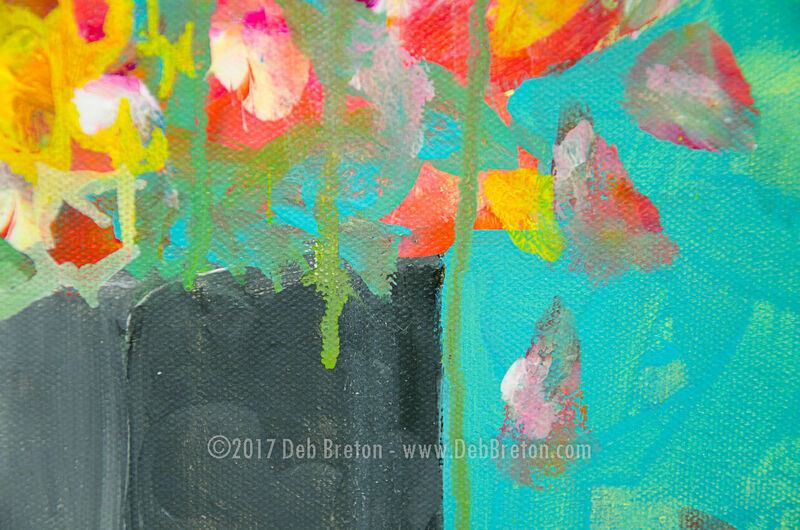 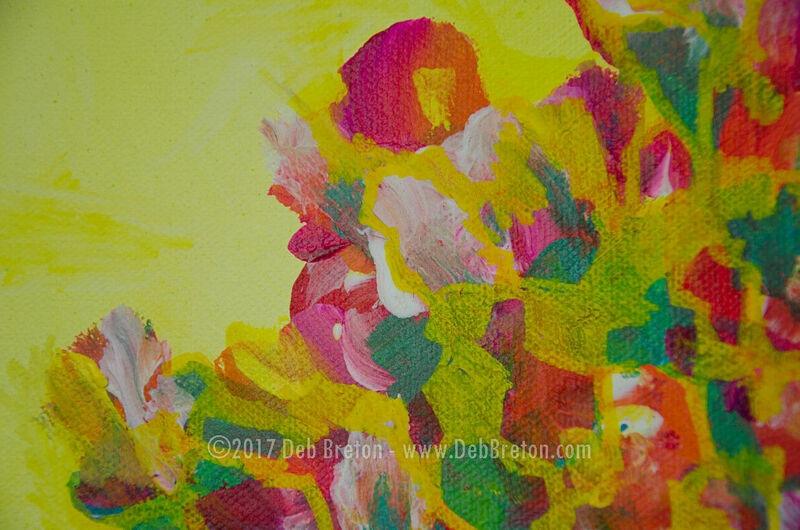 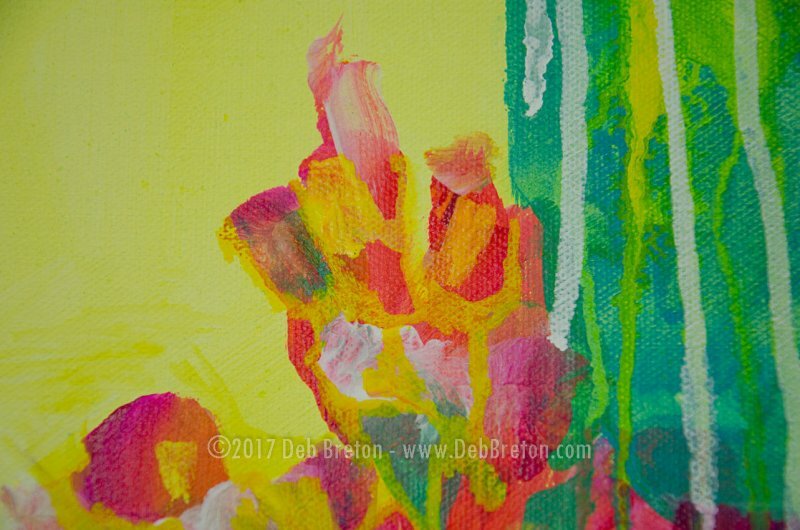 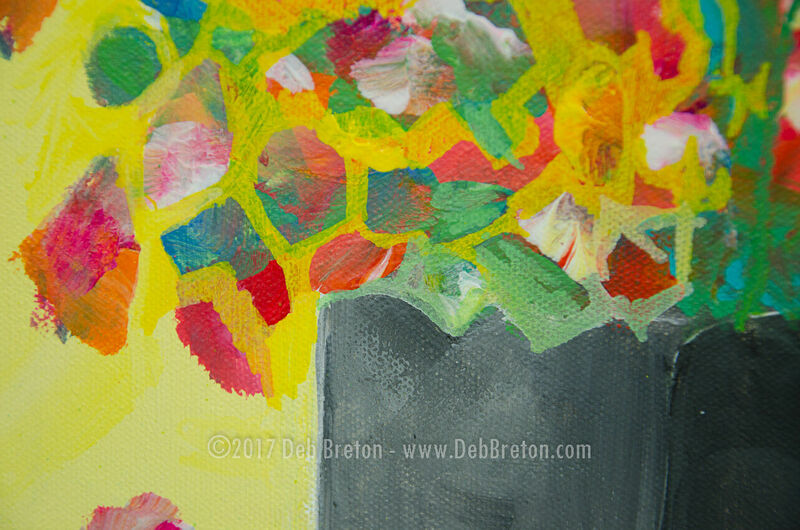 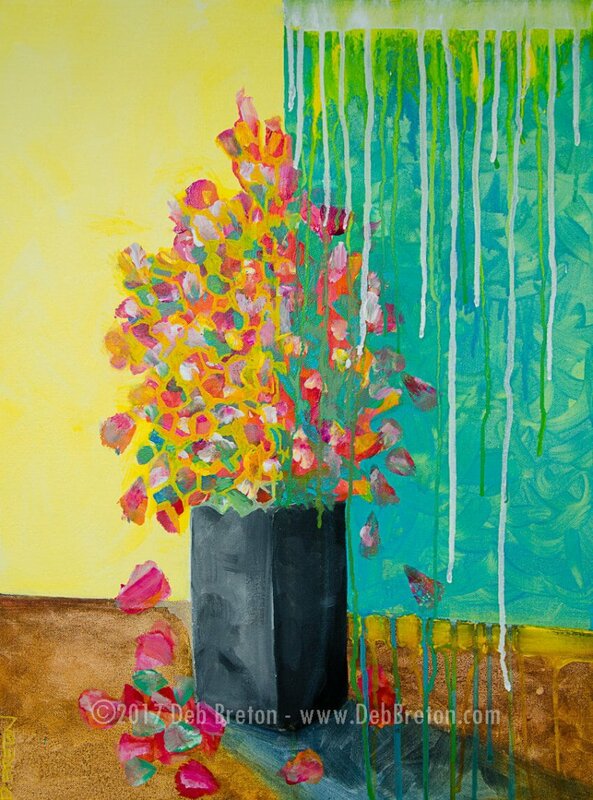 Nothing Lasts Forever Abstract Floral painting by Deb Breton Acrylic on 18 x 24 x 1.5 gallery wrapped canvas. Pink, red, orange and yellow flowers in a black square vase with the flower petals dropping. 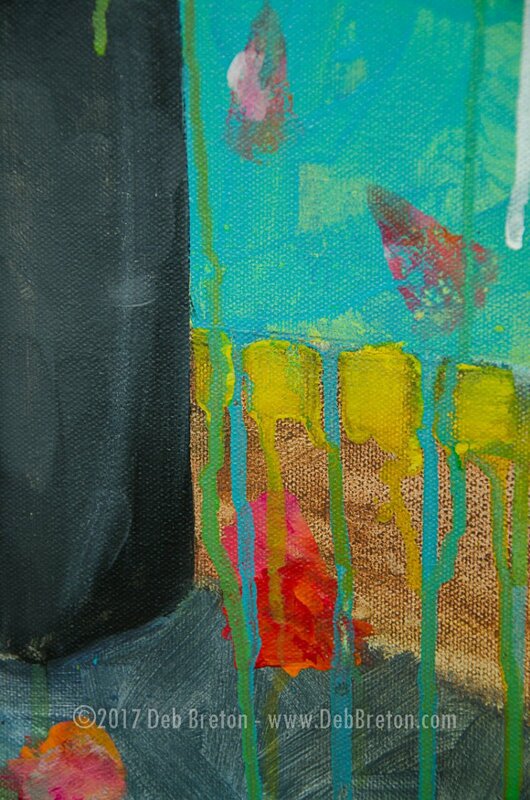 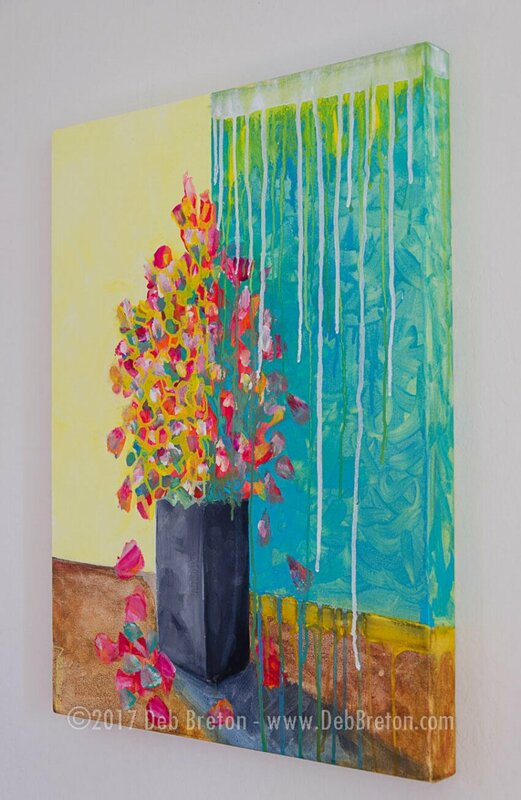 Turquoise and yellow and white drips. 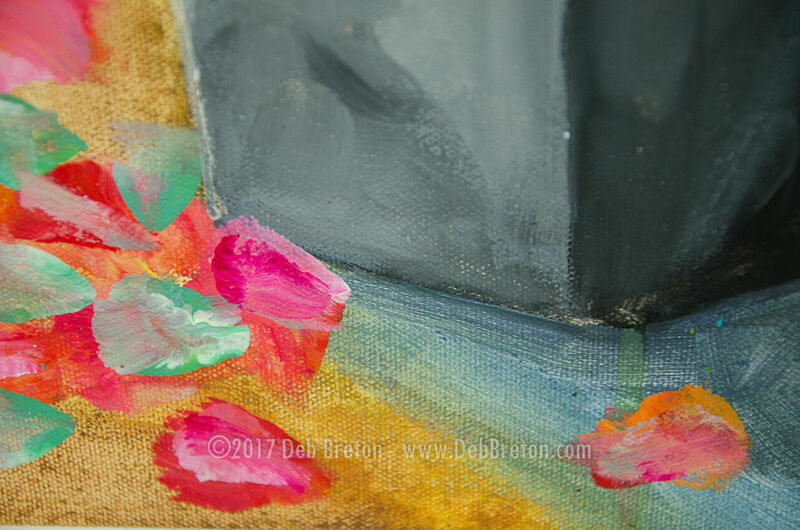 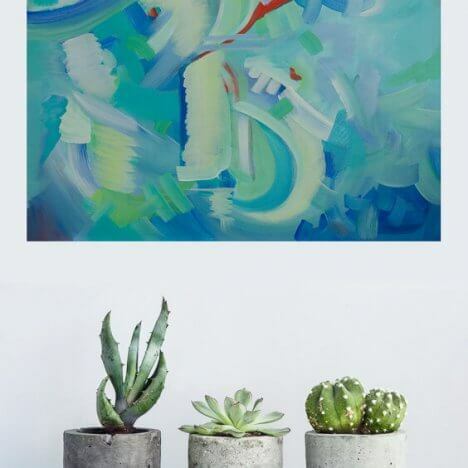 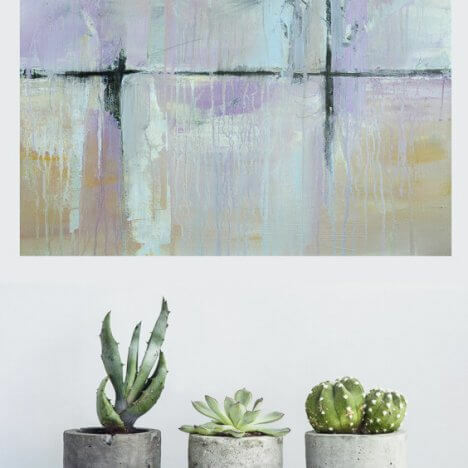 Abstract Still life painting. 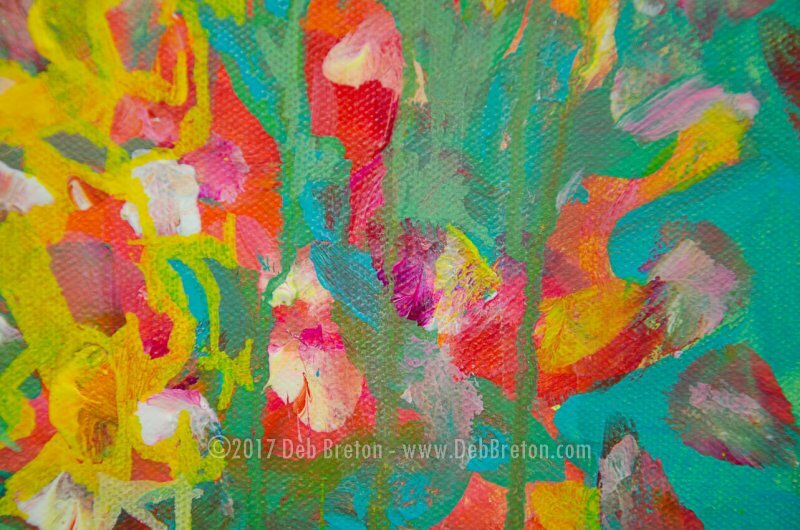 Deep 1.5″ Gallery Wrap Canvas and the painting’s theme is continued on to the sides – see more photo’s below. 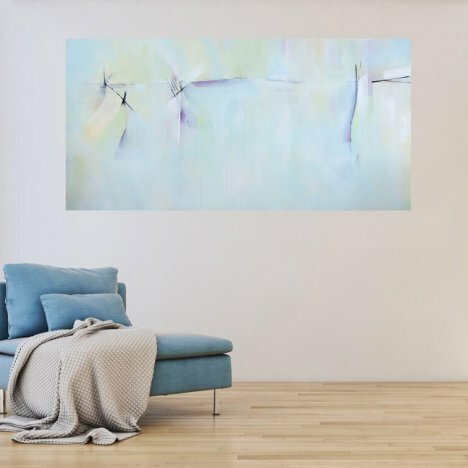 Wired and ready to hang. 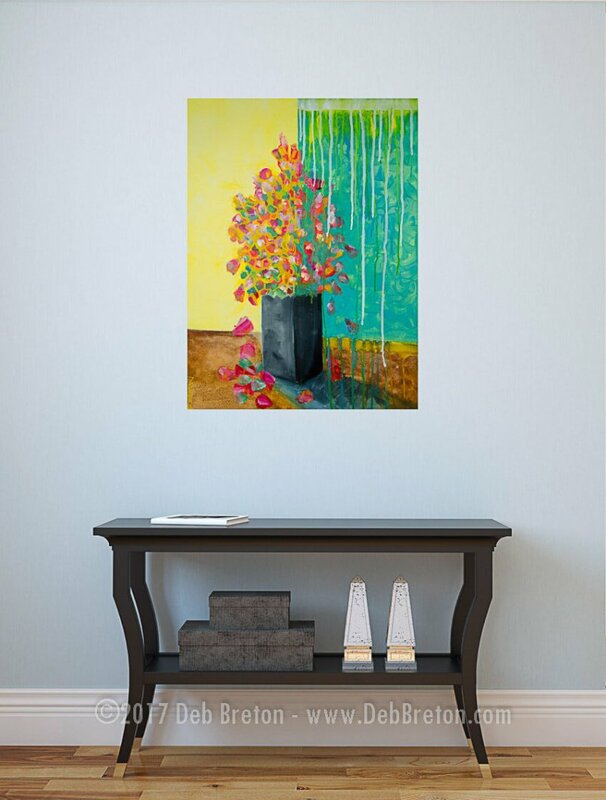 Several coats of gloss varnish protect your painting from dust and UV rays.